This content was published: August 15, 2016. Phone numbers, email addresses, and other information may have changed. Watch your mail box this week! 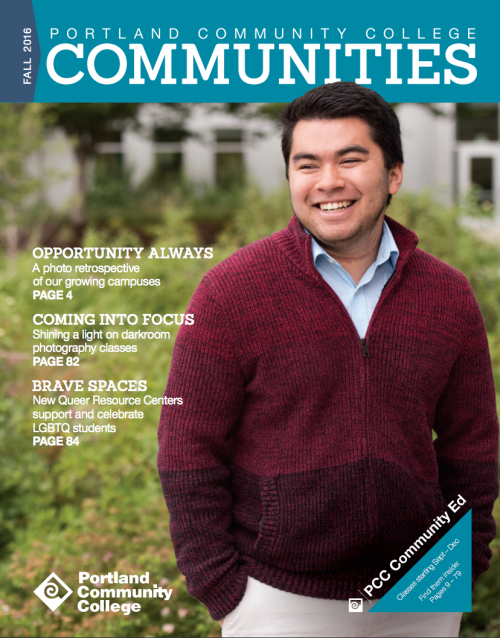 T he Fall 2016 PCC Communities magazine and Community Ed class schedule are printed and will soon show up in your mail box or a community location near you! Keep an eye out for it, it lists the more than 1000 non-credit Community Ed classes offered this fall as well as college news. If you don’t get a copy of the magazine delivered to your home, you can request one online. We never received a community education schedule. Is it too late to have one sent to us?